The OTF Proof-of-Concept represents an environment where all subprojects can integrate their components for the purpose of experimentation and evaluation. Furthermore, it is planned to be utilized for demonstration purposes. Functional analysis of pre- and postconditions and data flow. SecoArc is an architectural framework to design software ecosystems for different application domains. Integrates proof-carrying code and programs-from-proofs in software analysis tool CPAchecker. 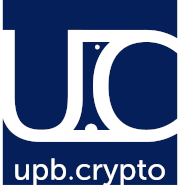 upb.crypto implements advanced cryptographic schemes (e.g., attribute-based encryption, an anonymous credential system, ...) and offers a tool suite for prototyping further schemes. HASCO - Hierarchical Automated Software COnfiguration is a tool for configuring software that leverages HTN planning and tailors the respective software to some objective function. Ampehre is a modular and extensible software framework used to sample various types of sensors embedded in integrated circuits or circuit boards deployed to heterogeneous compute nodes. Ampehre enables accurate, semantically comparable measurements of power, energy, temperature, and device utilization for computing resources such as CPUs, GPUs, or FPGAs. Heterogeneous Node demonstrates the execution of service compositions on different computing resources deployed in a single heterogeneous server. ML-Plan is a state-of-the-art tool for automated machine learning (AutoML) solving the combined problem of composing machine learning algorithms and optimizing their hyperparameters. PROSECO - PROtotype-based SErvice COmposition is a framework for the configuration and provision of service compositions based on prototypes. ReproDroid is a framework which can be used to create, refine and execute reproducible benchmarks for Android app analysis tools. SEDE - Service Execution and Distribution Environment allows for servicification of legacy software. Phasar is a novel static-analysis framework on top of LLVM. Phasar provides various solvers that allow the solving of arbitrary monotone data-flow problems (distributive or not) in a fully automated manner on the LLVM intermediate representation (LLVM IR). A user just has to provide the specific description of the problem to solve. NetSimLan is a software simulating distributed systems. It's made for but not limited to visualizing self stabilizing systems. SSSON implements a self-stabilizing protocol for a supervised overlay network, which also serves as a self-stabilizing publish-subscribe system. This implementation serves as the base for the distributed publish-subscribe system that is part of the OTF PoC. TEA implements an anonymous communication system that allows its users to communicate anonymously with each other. For this, it leverages trusted execution environments. TiLe is a framework which can be used to test the balancedness of machine learning classifiers.